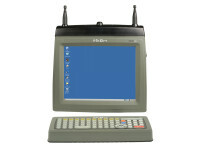 A familiar PC-style layout, 12 specially sized direct function keys, plus 20 years of history developing the most usable keyboard allows you to achieve maximum process simplicity — from simple terminal emulation applications to today’s intuitive graphics-intensive web-based Warehouse Management Systems. With the VH10f you get true frost and condensation free operation in freezers with touchscreen and board heaters, smart temperature sensors that automatically control the heaters and heating speed, an elastomeric keyboard that works despite icing, and more. 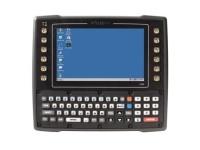 The automotive-grade 640 NIT ultra bright display is easy to read, even in bright sunlight; the 5-wire touchscreen is the most accurate and reliable touchscreen technology available, providing a higher “touch life” for heavy use. Use the same mounts, accessories and applications you have today for your prior Psion vehicle mount mobile computers (8525/8255), allowing you to cost-consciously upgrade to the latest technologies to improve productivity, customer service and satisfaction. The VH10 is built to provide the real-time information this workforce needs to get the job done fast and right – in your warehouse aisles, out in the yard or in a freezer. You get productivity, ingeniously engineered — with all the features you need for truly flawless fulfillment in your most demanding environments. will substantially conform to their official published specifications at the time of delivery. Products sold as refurbished Products are warranted for three (3) months from delivery. 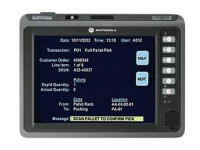 Non-serialized Product consumables, or operating supplies, such as, but not limited to, memory cards, cables, straps, holsters or batteries are warranted for a period of three (3) months from delivery. Products do not include any software programs that may come with the Product. 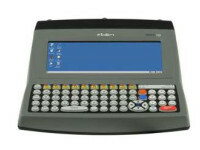 Software, whether it is licensed by Psion or a third party, is provided under a separate agreement.